For a medical professor in cancer research, we set up a searchable online database. The database holds cancer related gene expression data collected from different studies. 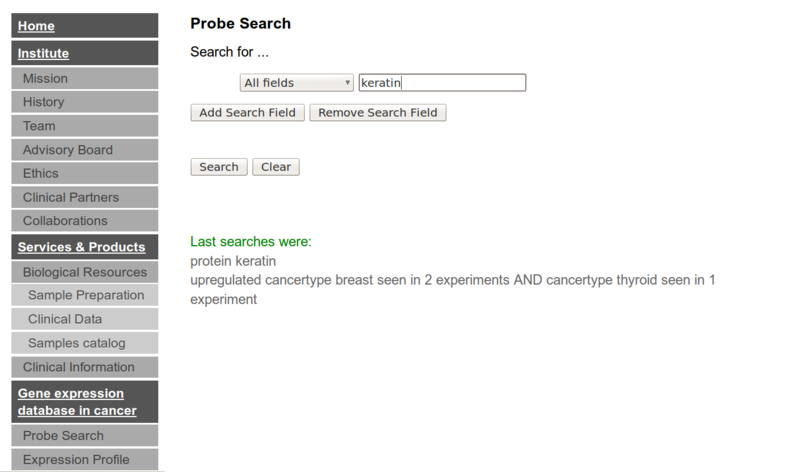 I implemented two different search modes, which search either for a probe or for a gene expression scenario. 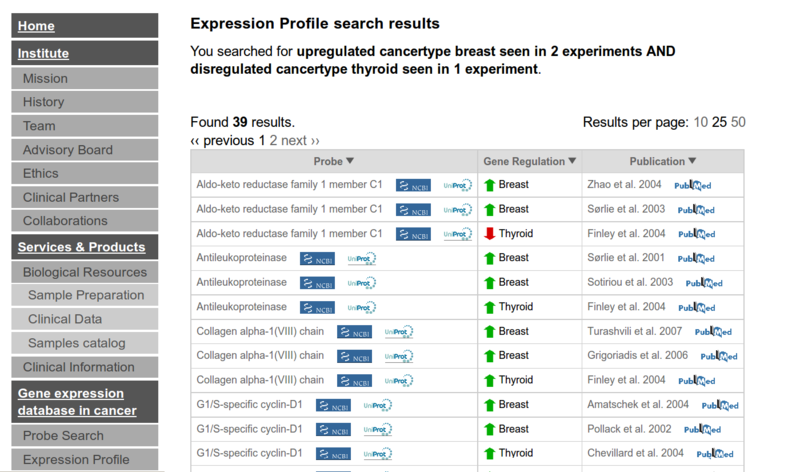 The list of search results includes links to the biological protein databases at the NCBI and Uniprot, as well as links to PubMed, a biomedical publication database. The structure diagram of the database. 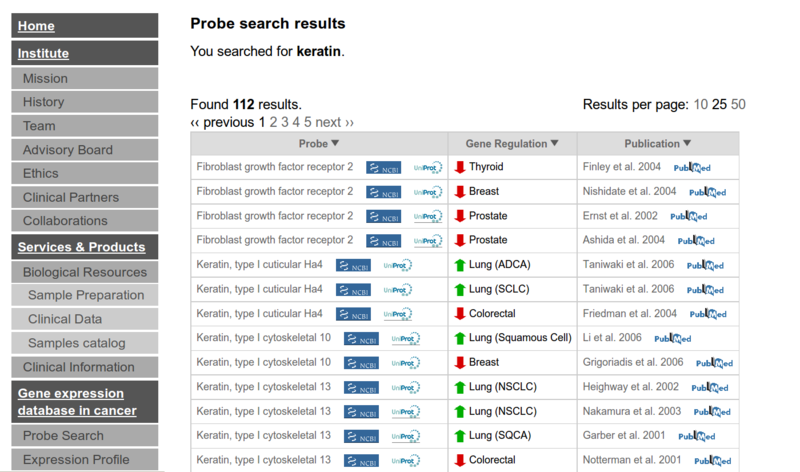 Probe search for a probe identified by the protein name “keratin”. The search result for “keratin”. 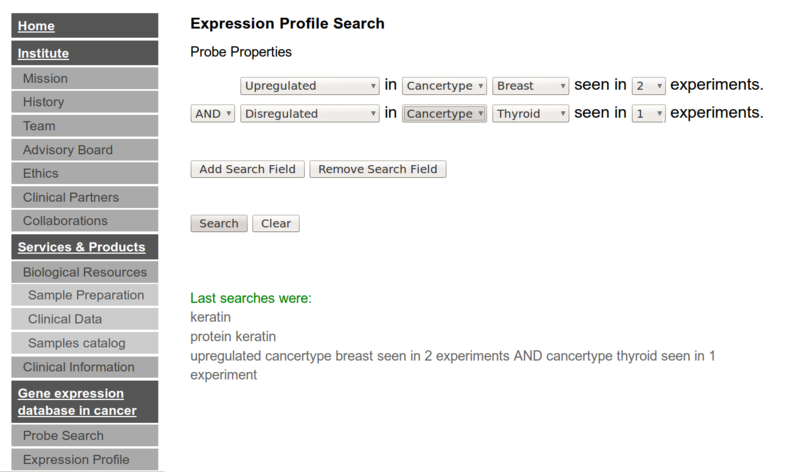 Expression profile search: a logical search that is a chain of simple search queries connected by AND or OR. 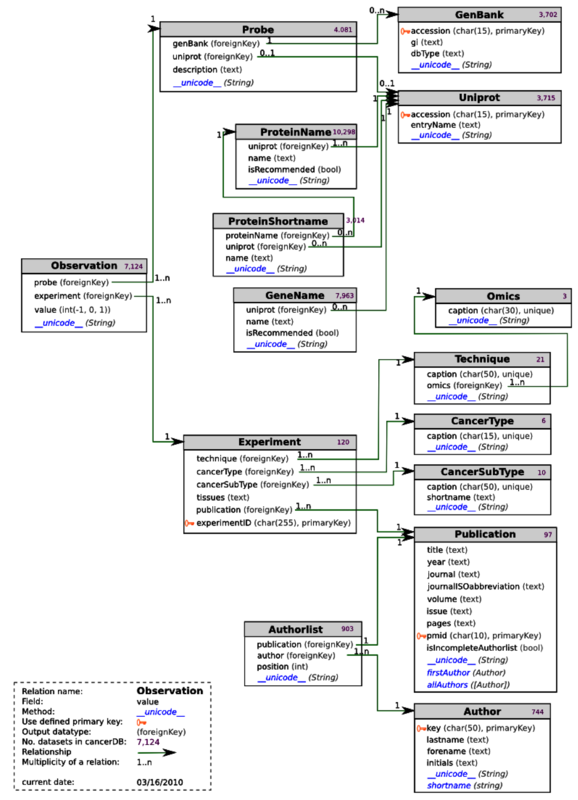 This entry was posted in programming and tagged cancer, database, django, python by linse. Bookmark the permalink.